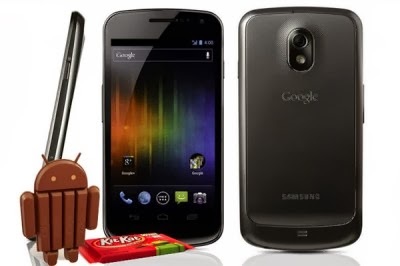 As already informed earlier that the Samsung Galaxy Nexus is rumored will not get Android 4.3 Jelly Bean update and 4.4 KitKat . But this smartphone owners do not need to worry because , KitKat Custom ROM Android 4.4 for the Galaxy Nexus is already available . This is a custom ROM based on Android 4.4 ROM KitKat that a few days ago has been released by Google . Android 4.4 version of Google's latest KitKat is one of the biggest upgrade comes to Android devices . This update will bring on improving performance and minimizing the amount of RAM on the device which is very useful for the Galaxy Nexus is still buried RAM of 512 MB . Not only improve performance , KitKat Android 4.4 also brings a new browser built -in Google Now , better multimedia features with the addition of closed captioning throughout the system , the display mode for the application ( similar to TouchWiz from Samsung ) and many more . There are two available ROM , but the ROM is still a problem ( bug ) in animation and graphics . While for others there is no problem and the ROM is working fine . If you are interested in getting this ROM for the Galaxy Nexus you please download via the links are already available .